"False idols" redirects here. For the Tricky album, see False Idols. For the Veil of Maya album, see False Idol (album). Idolatry literally means the worship of an "idol", also known as a worship cult image, in the form of a physical image, such as a statue. In Abrahamic religions, namely Christianity, Islam and Judaism, idolatry connotes the worship of something or someone other than God as if it were God. In these and several other monotheistic religions, idolatry has been considered as the "worship of false gods" and is forbidden. In many Indian religions, such as theistic and non-theistic forms of Hinduism, Buddhism and Jainism, idols (murti) are considered as symbolism for the absolute but not The Absolute, or icons of spiritual ideas, or the embodiment of the divine. It is a means to focus one's religious pursuits and worship (bhakti). In the traditional religions of ancient Egypt, Greece, Rome, Africa, Asia, the Americas and elsewhere, the reverence of an image or statue has been a common practice, and cult images have carried different meanings and significance. The opposition to the use of any icon or image to represent ideas of reverence or worship is called aniconism. The destruction of idols and images as icons of veneration is called iconoclasm, and this has long been accompanied with violence between religious groups that forbid idol worship and those who have accepted icons, images and idols for worship. The definition of idolatry has been a contested topic within Abrahamic religions, with many Muslims and Protestant Christians condemning the Catholic veneration and statues of the Virgin Mary in many churches, as a form of idolatry. The history of religions has been marked with accusations and denials of idolatry. These accusations have considered statues and images to be devoid of symbolism. Alternatively, the topic of idolatry has been a source of disagreements between many religions, or within denominations of various religions, with the presumption that icons of one's own religious practices have meaningful symbolism, while another person's different religious practices do not. Moses breaks the Ten Commandments in response to the golden calf worship in this 1860 woodcut by Julius Schnorr von Carolsfeld. The word idolatry comes from the Greek word eidololatria (εἰδωλολατρία) which itself is a compound of two words: eidolon (εἴδωλον "image") and latreia (λατρεία "worship", related to λάτρις). The word eidololatria thus means "worship of idols", which in Latin appears first as idololatria, then in Vulgar Latin as idolatria, therefrom it appears in 12th century Old French as idolatrie, which for the first time in mid 13th century English appears as "idolatry". Although the Greek appears to be a loan translation of the Hebrew phrase avodat elilim, which is attested in rabbinic literature (e.g., bChul., 13b, Bar. ), the Greek term itself is not found in the Septuagint, Philo, Josephus, or in other Hellenistic Jewish writings. The original term used in early rabbinic writings is oved avodah zarah (AAZ, worship of avoda zara, or "pagan"), while avodat kochavim umazalot (AKUM, worship of planets and constellations) is not found in its early manuscripts. Idolatry has also been called idolism, iconolatry or idolodulia in historic literature. The earliest so-called Venus figurines have been dated to the prehistoric Upper Paleolithic era (35–40 ka onwards). Archaeological evidence from the islands of the Aegean Sea have yielded Neolithic era Cycladic figures from 4th and 3rd millennium BC, idols in namaste posture from Indus Valley civilization sites from the 3rd millennium BC, and much older petroglyphs around the world show humans began producing sophisticated images. However, because of a lack of historic texts describing these, it is unclear what, if any connection with religious beliefs, these figures had, or whether they had other meaning and uses, even as toys. The earliest historic records confirming cult images are from the ancient Egyptian civilization, thereafter related to the Greek civilization. By the 2nd millennium BC two broad forms of cult image appear, in one images are zoomorphic (god in the image of animal or animal-human fusion) and in another anthropomorphic (god in the image of man). The former is more commonly found in ancient Egypt influenced beliefs, while the anthropomorphic images are more commonly found in Indo-European cultures. Symbols of nature, useful animals or feared animals may also be included by both. The stelae from 4,000 to 2,500 BC period discovered in France, Ireland through Ukraine, and in Central Asia through South Asia, suggest that the ancient anthropomorphic figures included zoomorphic motifs. In Nordic and Indian subcontinent, bovine (cow, ox, -*gwdus, -*g'ou) motifs or statues, for example, were common. In Ireland, iconic images included pigs. The Ancient Egyptian religion was polytheistic, with large cult images that were either animals or included animal parts. Ancient Greek civilization preferred human forms, with idealized proportions, for divine representation. The Canaanites of West Asia incorporated a golden calf in their pantheon. The ancient philosophy and practices of the Greeks, thereafter Romans, were imbued with polytheistic idolatry. They debate what is an image and if the use of image is appropriate. To Plato, images can be a remedy or poison to the human experience. To Aristotle, states Paul Kugler, an image is an appropriate mental intermediary that "bridges between the inner world of the mind and the outer world of material reality", the image is a vehicle between sensation and reason. Idols are useful psychological catalysts, they reflect sense data and pre-existing inner feelings. They are neither the origins nor the destinations of thought but the intermediary in the human inner journey. Fervid opposition to the idolatry of the Greeks and Romans was of Early Christianity and later Islam, as evidenced by the widespread desecration and defacement of ancient Greek and Roman sculptures that have survived into the modern era. Moses breaking the tablets with the Ten Commandments, from the 1493 Nuremberg Chronicle. Ideas on idolatry in Christianity are based on the first of Ten Commandments. Ye shall make you no idols nor graven image, neither rear you up a standing image, neither shall ye set up any image of stone in your land, to bow down unto it: for I am the Lord your God. Ye shall keep my sabbaths, and reverence my sanctuary. The Christian view of idolatry may generally be divided into two general categories: the Catholic and Eastern Orthodox view which accepts the use of religious images, and the views of many Protestant churches that considerably restrict their use. However, many Protestants have used the image of the cross as a symbol. The veneration of Mary, Jesus Christ, and the Black Madonna are common practices in the Catholic Church. The Roman Catholic and particularly the Orthodox Churches have traditionally defended the use of icons. The debate on what images signify and whether reverence with the help of icons in church is equivalent to idolatry has lasted for many centuries, particularly from the 7th century until the Reformation in the 16th century. These debates have supported the inclusion of icons of Jesus Christ, the Virgin Mary, and the Apostles, the iconography expressed in stained glass, regional saints and other symbols of Christian faith. 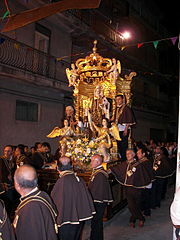 It has also supported the practices such as the Catholic mass, the reverential use of the bread and the wine as representations of Jesus' body and blood, burning of candles before pictures, Christmas decorations and celebrations, and festive or memorial processions with statues of religious significance to Christianity. St. John of Damascus, in his "On the Divine Image", defended the use of icons and images, in direct response to the Byzantine iconoclasm that began widespread destruction of religious images in the 8th century, with support from emperor Leo III and continued by his successor Constantine V during a period of religious war with the invading Umayyads. John of Damascus wrote, "I venture to draw an image of the invisible God, not as invisible, but as having become visible for our sakes through flesh and blood", adding that images are expressions "for remembrance either of wonder, or an honor, or dishonor, or good, or evil" and that a book is also a written image in another form. He defended the religious use of images based on the Christian doctrine of Jesus as an incarnation. St. John the Evangelist cited John 1:14, stating that "the Word became flesh" indicates that the invisible God became visible, that God's glory manifested in God's one and only Son as Jesus Christ, and therefore God chose to make the invisible into a visible form, the spiritual incarnated into the material form. The early defense of images included exegesis of Old and New Testament. Evidence for the use of religious images is found in Early Christian art and documentary records. For example, the veneration of the tombs and statues of martyrs was common among early Christian communities. In 397 St. Augustine of Hippo, in his Confessions 6.2.2, tells the story of his mother making offerings for the statues and tombs of martyrs. incite people to piety and virtue. The Catholic defense mentions textual evidence of external acts of honor towards icons, arguing that there are "different kinds of worship" and that the honor shown to icons differs entirely from the adoration of God. Citing the Old Testament, these arguments present examples of forms of "honor" such as in Genesis 33:3, with the argument that "adoration is one thing, and that which is offered in order to honor something of great excellence is another". These arguments assert, "the honor given to the image is transferred to its prototype", and that venerating an image of Christ does not terminate at the image itself – the material of the image is not the object of worship – rather it goes beyond the image, to the prototype. The Eastern Orthodox Church has differentiated between latria and dulia. A latria is the worship due God, and latria to anyone or anything other than God is doctrinally forbidden by the Orthodox Church; however dulia has been defined as veneration of religious images, statues or icons which is not only allowed but obligatory. This distinction was discussed by Thomas Acquinas in section 3.25 of Summa Theologiae. The veneration of images of Mary is called Marian devotion (above: Lithuania), a practice questioned in the majority of Protestant Christianity. In Orthodox apologetic literature, the proper and improper use of images is extensively discussed. Exegetical orthodox literature points to icons and the manufacture by Moses (under God's commandment) of the Bronze Snake in Numbers 21:9, which had the grace and power of God to heal those bitten by real snakes. Similarly, the Ark of the Covenant was cited as evidence of the ritual object above which Yahweh was present. Veneration of icons through proskynesis was codified in 787 AD by the Seventh Ecumenical Council. This was triggered by the Byzantine Iconoclasm controversy that followed raging Christian-Muslim wars and a period of iconoclasm in West Asia. The defense of images and the role of the Syrian scholar John of Damascus was pivotal during this period. The Eastern Orthodox church has ever since celebrated the use of icons and images. Eastern-rite Catholics also accepts icons in their Divine Liturgy. According to the Catechism of the Catholic Church, "Idolatry not only refers to false pagan worship. Man commits idolatry whenever he honours and reveres a creature in place of God, whether this be gods, or demons (for example satanism), power, pleasure, race, ancestors, the state, money, etc." The manufacture of images of Jesus, the Virgin Mary and Christian saints, along with prayers directed to these has been widespread among the Catholic faithful. The idolatry debate has been one of the defining differences between Papal Catholicism and Anti-papal Protestantism. The anti-papal writers have prominently questioned the worship practices and images supported by Catholics, with many Protestant scholars listing it as the "one religious error larger than all others". The sub-list of erring practices have included among other things the veneration of Virgin Mary, the Catholic mass, the invocation of saints, and the reverence expected for and expressed to Pope himself. The charges of supposed idolatry against the Roman Catholics were leveled by a diverse group of Protestants, from the Church of England to John Calvin in Geneva. Protestants did not abandon all icons and symbols of Christianity. They typically avoid the use of images, except the cross, in any context suggestive of veneration. The cross remained their central icon. Technically both major branches of Christianity have had their icons, states Carlos Eire, a professor of religious studies and history, but its meaning has been different to each and "one man's devotion was another man's idolatry". This was particularly true not only in the intra-Christian debate, states Eire, but also when soldiers of Catholic kings replaced "horrible Aztec idols" in the American colonies with "beautiful crosses and images of Mary and the saints". Protestants often accuse Catholics of idolatry, iconolatry, and even paganism; in the Protestant Reformation such language was common to all Protestants. In some cases, such as the Puritan groups denounced all forms of religious objects, whether in three-dimensional or two-dimensional form, including the Christian cross. The body of Christ on the cross is an ancient symbol used within the Catholic, Eastern Orthodox, Anglican, and Lutheran churches, in contrast with some Protestant groups, which use only a simple cross. In Judaism, the reverence to the icon of Christ in the form of cross has been seen as idolatry. However, some Jewish scholars disagree and consider Christianity to be based on Jewish belief and not truly idolatrous. In Islamic sources, the concept of shirk (sh-r-k) can refer to "idolatry", though it is most widely used to denote "association of partners with God". The concept of Kufr (k-f-r) can also include idolatry (among other forms of disbelief). The one who practices shirk is called mushrik (plural mushrikun) in the Islamic scriptures. The Quran forbids idolatry. Over 500 mentions of kufr and shirk are found in the Quran, and both concepts are strongly forbidden. Shia classical theology differs in the concept of Shirk. According to Twelver theologians, the attributes and names of God have no independent and hypostatic existence apart from the being and essence of God. Any suggestion of these attributes and names being conceived of as separate is thought to entail polytheism. It would be even incorrect to say God knows by his knowledge which is in his essence but God knows by his knowledge which is his essence. Also God has no physical form and he is insensible. The border between theoretical Tawhid and Shirk is to know that every reality and being in its essence, attributes and action are from him(from Him-ness), it is Tawhid. Every supernatural action of the prophets is by God's permission as Quran points to it. The border between the Tawhid and Shirk in practice is to assume something as an end in itself, independent from God, not as a road to God(to Him-ness). Ismailis goes deeper in the definition of 'Shirk, declaring it to don't recognize any sort of ground of being by the mystical potential intuitive knowledge of the human being. So on, most of Shias doesn't have any problem regarding paintings and veneation of the prophets and Imams. Islam strongly prohibits all form of idolatry, which is part of the sin of shirk (Arabic: شرك‎); širk comes from the Arabic root Š-R-K (ش ر ك), with the general meaning of "to share". In the context of the Qur'an, the particular sense of "sharing as an equal partner" is usually understood as "attributing a partner to Allah". Shirk is often translated as idolatry and polytheism. In the Qur'an, shirk and the related word (plural Stem IV active participle) mušrikūn (مشركون) "those who commit shirk" often refers to the enemies of Islam (as in verse 9.1–15) but sometimes it also refers to erring Muslims. Within Islam, shirk is an unforgivable crime, if the person who committed it dies without repenting; God may forgive any sin except for committing shirk. In practice, especially among strict conservative interpretations of Islam, the term has been greatly extended and means deification of anyone or anything other than the singular God. In Salafi-Wahhabi interpretation, it may be used very widely to describe behaviour that does not literally constitute worship, including use of images of sentient beings, building a structure over a grave, associating partners with God, giving his characteristics to others beside him, or not believing in his characteristics. 19th century Wahhabis regarded idolatry punishable with the death penalty, a practice that was "hitherto unknown" in Islam. However, Classical Orthodox Sunni thought used to be rich in Relics and Saint veneration, as well as pilgrimage to their shrines. Ibn Taymiyya, a medieval theologian that influenced modern days Salafists, was put in prison for his negation of veneration of relics and Saints, as well as pilgrimage to Shrines, which was considered unorthodox by his contemporary theologians. In her book, Islam: A Short History, Karen Armstrong asserts that the Kaaba was officially dedicated to Hubal, a Nabatean deity, and contained 360 idols that probably represented the days of the year. But by Muhammad's day, it seems that the Kaaba was venerated as the shrine of Allah, the High God. Allah was never represented by an idol. Once a year, tribes from all around the Arabian peninsula, whether Christian or pagan, would converge on Mecca to perform the Hajj, marking the widespread conviction that Allah was the same deity worshiped by monotheists. Guillaume in his translation of Ibn Ishaq, an early biographer of Muhammad, says the Ka'aba itself was addressed using a feminine grammatical form. Circumambulation was often performed naked by men and almost naked by women, and linked to ancient fertility rites. It is disputed whether Allah and Hubal were the same deity or different. Per a hypothesis by Uri Rubin and Christian Robin, Hubal was only venetrated by Quraysh and the Kaaba was first dedicated to Allah, a supreme god of individuals belonging to different tribes, while the pantheon of the gods of Quraysh was installed in Kaaba after they conquered Mecca a century before Muhammad's time. Judaism prohibits any form of idolatry. According to its commandments, neither is worship of foreign gods in any form or through icons allowed, nor is idolatrous worship of the God of Israel permitted. Many Jewish scholars such as Rabbi Saadia Gaon, Rabbi Bahya ibn Paquda, and Rabbi Yehuda Halevi have elaborated on the issues of idolatry. One of the oft-cited discussions is the commentary of Rabbi Moshe ben Maimon (Maimonides) on idolatry. According to the Maimonidean interpretation, idolatry in itself is not a fundamental sin, but the grave sin is the belief that God can be corporeal. In the Jewish belief, the only image of God is man, one who lives and thinks; God has no visible shape, and it is absurd to make or worship images; instead man must worship the invisible God alone. The commandments in the Hebrew Bible against idolatry forbade the practices and gods of ancient Akkad, Mesopotamia, and Egypt. The Hebrew Bible states that God has no shape or form, is utterly incomparable, is everywhere and cannot be represented in a physical form of an idol. Biblical scholars have historically focused on the textual evidence to construct the history of idolatry in Judaism, a scholarship that post-modern scholars have increasingly begun deconstructing. This biblical polemics, states Naomi Janowitz, a professor of Religious Studies, has distorted the reality of Israelite religious practices and the historic use of images in Judaism. The direct material evidence is more reliable, such as that from the archaeological sites, and this suggests that the Jewish religious practices have been far more complex than what biblical polemics suggest. Judaism included images and cultic statues in the First Temple period, the Second Temple period, Late Antiquity (2nd to 8th century CE), and thereafter. Nonetheless, these sorts of evidence may be simply descriptive of Ancient Israelite practices in some—possibly deviant—circles, but cannot tell us anything about the mainstream religion of the Bible which proscribes idolatry. The history of Jewish religious practice has included cult images and figurines made of ivory, terracotta, faience and seals. As more material evidence emerged, one proposal has been that Judaism oscillated between idolatry and iconoclasm. However, the dating of the objects and texts suggest that the two theologies and liturgical practices existed simultaneously. The claimed rejection of idolatry because of monotheism found in Jewish literature and therefrom in biblical Christian literature, states Janowitz, has been unreal abstraction and flawed construction of the actual history. The material evidence of images, statues and figurines taken together with the textual description of cherub and "wine standing for blood", for example, suggests that symbolism, making religious images, icon and index has been integral part of Judaism. Every religion has some objects that represent the divine and stand for something in the mind of the faithful, and Judaism too has had its holy objects and symbols such as the Menorah. The ancient religions of India apparently had no use of cult images. While the Vedic literature of Hinduism is extensive in the form of Samhitas, Brahmanas, Aranyakas and Upanishads, and have been dated to have been composed over a period of centuries (1500 BC to 200 BC), there is no mention of temples or worship of cult images in them. Beyond the textual evidence, no very early temples have yet been discovered in archaeological sites of ancient India that suggest the use of cult images. The early Buddhist and Jain (pre-200 BC) traditions similarly suggest no evidence of idolatry. The Vedic literature mention many gods and goddesses, as well as the use of Homa (votive ritual using fire), but it does not mention images or their worship. The ancient Buddhist, Hindu and Jaina texts discuss the nature of existence, whether there is or is not a creator deity such as in the Nasadiya Sukta of the Rigveda, they describe meditation, they recommend the pursuit of simple monastic life and self-knowledge, they debate the nature of absolute reality as Brahman or Śūnyatā, yet the ancient Indian texts mention no use of images. Indologists such as the Max Muller, Jan Gonda, Pandurang Vaman Kane, Ramchandra Narayan Dandekar, Horace Hayman Wilson, Stephanie Jamison and other scholars state that "there is no evidence for icons or images representing god(s)" in the ancient religions of India. Idolatry developed among the Indian religions later. According to John Grimes, a professor of Indian philosophy, Indian thought denied even dogmatic idolatry of its scriptures. Everything has been left to challenge, arguments and enquiry, with the medieval Indian scholar Vācaspati Miśra stating that scripture is not authoritative, only purportful scripture is. According to Eric Reinders, icons and idolatry has been an integral part of Buddhism throughout its later history. Buddhists, from Korea to Vietnam, Thailand to Tibet, Central Asia to South Asia, have long produced temples and idols, altars and rosaries, relics to amulets, images to ritual implements. The images or relics of Buddha are found in all Buddhist traditions, but they also feature gods and goddesses such as those in Tibetan Buddhism. Buddhists praying before a statue in Tibet (left) and Vietnam. According to Peter Harvey – a professor of Buddhist Studies, Buddha idols and idolatry spread into northwest Indian subcontinent (now Pakistan and Afghanistan) and into Central Asia with Buddhist Silk Road merchants. The Hindu rulers of different Indian dynasties patronized both Buddhism and Hinduism from 4th to 9th century, building Buddhist icons and cave temples such as the Ajanta Caves and Ellora Caves which featured Buddha idols. From the 10th century, states Harvey, the raids into northwestern parts of South Asia by Muslim Turks destroyed Buddhist idols, given their religious dislike for idolatry. The iconoclasm was so linked to Buddhism, that the Islamic texts of this era in India called all idols as Budd. The desecration of idols in cave temples continued through the 17th century, states Geri Malandra, from the offense of "the graphic, anthropomorphic imagery of Hindu and Buddhist shrines". In East Asia and Southeast Asia, worship in Buddhist temples with the aid of icons and sacred objects has been historic. In Japanese Buddhism, for example, Butsugu (sacred objects) have been integral to the worship of the Buddha (kuyo), and such idolatry considered a part of the process of realizing one's Buddha nature. This process is more than meditation, it has traditionally included devotional rituals (butsudo) aided by the Buddhist clergy. These practices are also found in Korea and China. Ganesh statue during a contemporary festival (left), and Bhakti saint Meera singing before an image of Krishna. In Hinduism, an icon, image or statue is called Murti or Pratima. Major Hindu traditions such as Vaishnavism, Shaivism, Shaktism and Smartaism favor the use of Murti (idol). These traditions suggest that it is easier to dedicate time and focus on spirituality through anthropomorphic or non-anthropomorphic icons. The Bhagavad Gita – a Hindu scripture, in verse 12.5, states that only a few have the time and mind to ponder and fix on the unmanifested Absolute (abstract formless Brahman), and it is much easier to focus on qualities, virtues, aspects of a manifested representation of god, through one's senses, emotions and heart, because the way human beings naturally are. A Murti in Hinduism, states Jeaneane Fowler – a professor of Religious Studies specializing on Indian Religions, is itself not god, it is an "image of god" and thus a symbol and representation. A Murti is a form and manifestation, states Fowler, of the formless Absolute. Thus a literal translation of Murti as idol is incorrect, when idol is understood as superstitious end in itself. Just like the photograph of a person is not the real person, a Murti is an image in Hinduism but not the real thing, but in both cases the image reminds of something of emotional and real value to the viewer. When a person worships a Murti, it is assumed to be a manifestation of the essence or spirit of the deity, the worshipper's spiritual ideas and needs are meditated through it, yet the idea of ultimate reality – called Brahman in Hinduism – is not confined in it. In Vaishnavism, the building of a temple for the murti is considered an act of devotion, but non-Murti symbolism is also common wherein the aromatic Tulsi plant or Saligrama is an aniconic reminder of the spiritualism in Vishnu. In the Shaivism tradition of Hinduism, Shiva may be represented as a masculine idol, or half man half woman ardhanarishvara form, in an anicon Linga-Yoni form. The worship rituals associated with the Murti, correspond to ancient cultural practices for a beloved guest, and the Murti is welcomed, taken care of, and then requested to retire. From the contemplation of images grows delight, from delight faith, from faith steadfast devotion, through such devotion arises that higher understanding (parāvidyā) that is the royal road to moksha. Without the guidance of images, the mind of the devotee may go ashtray and form wrong imaginations. Images dispel false imaginations. (... ) It is in the mind of Rishis (sages), who see and have the power of discerning the essence of all created things of manifested forms. They see their different characters, the divine and the demoniac, the creative and the destructive forces, in their eternal interplay. It is this vision of Rishis, of gigantic drama of cosmic powers in eternal conflict, which the Sthapakas (Silpins, murti and temple artists) drew the subject-matter for their work. Some Hindu movements founded during the colonial British era, such as the Arya Samaj and Satya Mahima Dharma reject idolatry. A expression of reverence to Gomateshwara statue in Jainism. Devotional idolatry has been a prevalent ancient practice in various Jaina sects, wherein learned Tirthankara (Jina) and human gurus have been venerated with offerings, songs and Āratī prayers. Like other major Indian religions, Jainism has premised its spiritual practices on the belief that "all knowledge is inevitably mediated by images" and human beings discover, learn and know what is to be known through "names, images and representations". Thus, idolatry has been a part of the major sects of Jainism such as Digambara and Shvetambara. The earliest archaeological evidence of the idols and images in Jainism is from Mathura, and has been dated to be from the first half of the 1st millennium AD. The creation of idols, their consecration, the inclusion of Jaina layperson in idols and temples of Jainism by the Jaina monks has been a historic practice. However, during the iconoclastic era of Islamic rule, between the 15th and 17th century, a Lonka sect of Jainism emerged that continued pursuing their traditional spirituality but without the Jaina arts, images and idols. Sikhism is a monotheistic Indian religion, and Sikh temples are devoid of idols and icons for God. Yet, Sikhism strongly encourages devotion to God. Some scholars call Sikhism a Bhakti sect of Indian traditions. In Sikhism, "nirguni Bhakti" is emphasised – devotion to a divine without Gunas (qualities or form), but its scripture also accepts representations of God with formless (nirguni) and with form (saguni), as stated in Adi Granth 287. Sikhism condemns worshipping images or statues as if it were God, but have historically challenged the iconoclastic policies and hindu temple destruction activities of Islamic rulers in India. Sikhs house their scripture and revere the Guru Granth Sahib as the final Guru of Sikhism. It is installed in Sikh Gurdwara (temple), many Sikhs bow or prostrate before it on entering the temple. [note 1] Guru Granth Sahib is ritually installed every morning, and put to bed at night in many Gurdwaras. An Orisha deity (left) and an artwork depicting a kneeling female worshipper with child, by Yoruba people. Africa has numerous ethnic groups, and their diverse religious idea have been grouped as African Traditional Religions, sometimes abbreviated to ATR. These religions typically believe in a Supreme Being which goes by different regional names, as well as spirit world often linked to ancestors, and mystical magical powers through divination. Idols and their worship have been associated with all three components in the African Traditional Religions. According to J.O. Awolalu, proselytizing Christians and Muslims have mislabelled idol to mean false god, when in the reality of most traditions of Africa, the object may be a piece of wood or iron or stone, yet it is "symbolic, an emblem and implies the spiritual idea which is worshipped". The material objects may decay or get destroyed, the emblem may crumble or substituted, but the spiritual idea that it represents to the heart and mind of an African traditionalist remains unchanged. Sylvester Johnson – a professor of African American and Religious Studies, concurs with Awolalu, and states that the colonial era missionaries who arrived in Africa, neither understood the regional languages nor the African theology, and interpreted the images and ritualism as "epitome of idolatry", projecting the iconoclastic controversies in Europe they grew up with, onto Africa. First with the arrival of Islam in Africa, then during the Christian colonial efforts, the religiously justified wars, the colonial portrayal of idolatry as proof of savagery, the destruction of idols and the seizure of idolaters as slaves marked a long period of religious intolerance, which supported religious violence and demeaning caricature of the African Traditional Religionists. The violence against idolaters and idolatry of Traditional Religion practicers of Africa started in the medieval era and continued into the modern era. The charge of idolatry by proselytizers, state Michael Wayne Cole and Rebecca Zorach, served to demonize and dehumanize local African populations, and justify their enslavement and abuse locally or far off plantations, settlements or for forced domestic labor. Inti Raymi, a winter solstice festival of the Inca people, reveres Inti – the sun deity. Offerings include round bread and maize beer. 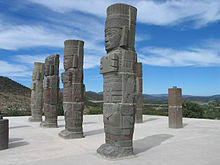 Statues, images and temples have been a part of the Traditional Religions of the indigenous people of the Americas. The Incan, Mayan and Aztec civilizations developed sophisticated religious practices that incorporated idols and religious arts. The Inca culture, for example, has believed in Viracocha (also called Pachacutec) as the creator deity and nature deities such as Inti (sun deity), and Mama Cocha the goddess of the sea, lakes, rivers and waters. The Aztec Tula Atlantean statues (above) have been called as symbols of idolatry, but may have just been stone images of warriors. In Mayan culture, Kukulkan has been the supreme creator deity, also revered as the god of reincarnation, water, fertility and wind. The Mayan people built step pyramid temples to honor Kukulkan, aligning them to the Sun's position on the spring equinox. Other deities found at Mayan archaeological sites include Xib Chac – the benevolent male rain deity, and Ixchel – the benevolent female earth, weaving and pregnancy goddess. A deity with aspects similar to Kulkulkan in the Aztec culture has been called Quetzalcoatl. Missionaries came to the Americas with the start of Spanish colonial era, and the Catholic Church did not tolerate any form of native idolatry, preferring that the icons and images of Jesus and Mary replace the native idols. Aztec, for example, had a written history which included those about their Traditional Religion, but the Spanish colonialists destroyed this written history in their zeal to end what they considered as idolatry, and to convert the Aztecs to Catholicism. The Aztec Indians, however, preserved their religion and religious practices by burying their idols under the crosses, and then continuing their idol worship rituals and practices, aided by the syncretic composite of atrial crosses and their idols as before. During and after the imposition of Catholic Christianity during Spanish colonialism, the Incan people retained their original beliefs in deities through syncretism, where they overlay the Christian God and teachings over their original beliefs and practices. The male deity Inti became accepted as the Christian God, but the Andean rituals centered around idolatry of Incan deities have been retained and continued thereafter into the modern era by the Incan people. The Polynesian people have had a range of polytheistic theologies found across the Pacific Ocean. The Polynesian people produced idols from wood, and congregated around these idols for worship. The Christian missionaries, particularly from the London Missionary Society such as John Williams, and others such as the Methodist Missionary Society, characterized these as idolatry, in the sense of islanders worshipping false gods. They sent back reports which primarily focussed on "overthrow of pagan idolatry" as evidence of their Christian sects triumph, with fewer mentions of actual converts and baptism. Yehezkel Kaufman (1960) states that the biblical prohibition of idolatry relates to the belief where the idols are considered gods. He adds that it is erroneous to assume that all idolatry was of this type, when in some cases, idols may have only been representations of gods. 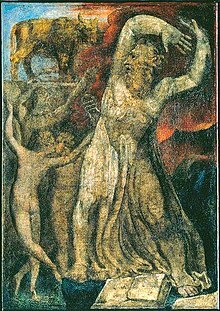 He cites a passage from 1 Kings 18:27, the Hebrew prophet Elijah challenges the priests of Baal atop of Mount Carmel to persuade their god to perform a miracle. The pagan priests beseeched their god without the use of an idol, which is evidence that Baal was not an idol, but rather one of the polytheistic gods that merely could be worshipped with or without the use of an idol. The accusations and presumption that all idols and images are devoid of symbolism, or that icons of one's own religion are "true, healthy, uplifting, beautiful symbolism, mark of devotion, divine", while of other person's religion are "false, an illness, superstitious, grotesque madness, evil addiction, satanic and cause of all incivility" is more a matter of subjective personal interpretation, rather than objective impersonal truth. Allegations that idols only represent false gods, followed by violence and iconoclastic destruction, state Regina Schwartz and other scholars, is little more than religious intolerance. The philosopher David Hume in his Dialogue on Religion, wrote that pagan idolatry is premised on pluralism, tolerance and acceptance of diverse representations of the divine, while monotheism has been intolerant, attempted to destroy freedom of expression and has violently forced others to accept and worship their singular view of the divine. The Ten Commandments on a monument on the grounds of the Texas State Capitol. The first commandment listed is interpreted as prohibiting idolatry, but the nature of the meaning of idolatry in the Biblical law in Christianity is disputed. Bronze snake (formerly believed to be the one set up by Moses), in the main nave of Sant'Ambrogio basilica in Milan, Italy, a gift from Byzantine emperor Basil II (1007). It stands on an Ancient Roman granite pillar. Picture by Giovanni Dall'Orto, April 25, 2007. The Adoration of the Golden Calf by Nicolas Poussin. ^ a b Such idol caring practices are found in other religions. For example, the Infant Jesus of Prague is venerated in many countries of the Catholic world. In the Prague Church it is housed, it is ritually cared for, cleaned and dressed by the sisters of the Carmelites Church, changing the Infant Jesus' clothing to one of the approximately hundred costumes donated by the faithfuls as gift of devotion. The idol is worshipped with the faithful believing that it renders favors to those who pray to it. Such ritualistic caring of the image of baby Jesus is found in other churches and homes in Central Europe and Portugual / Spain influenced Christian communities with different names, such as Menino Deus. ^ a b Moshe Halbertal; Avishai Margalit; Naomi Goldblum (1992). Idolatry. Harvard University Press. pp. 1–8, 85–86, 146–148. ISBN 978-0-674-44313-6. ^ DiBernardo, Sabatino (2008). "American Idol(atry): A Religious Profanation". The Journal of Religion and Popular Culture. 19 (1): 1–2. doi:10.3138/jrpc.19.1.001. , Quote: "Idolatry (...) in the first commandment denotes the notion of worship, adoration, or reverence of an image of God." ^ Poorthuis, Marcel (2007). "6. Idolatry and the Mirror: Iconoclasm as a Prerequisite for Inter-Human Relations". Iconoclasm and Iconoclash, Chapter 6. Idolatry And The Mirror: Iconoclasm As A Prerequisite For Inter-Human Relations. BRILL Academic. pp. 125–140. doi:10.1163/ej.9789004161955.i-538.53. ISBN 9789004161955. ^ Wendy Doniger (1999). Merriam-Webster's Encyclopedia of World Religions. Merriam-Webster. p. 497. ISBN 978-0-87779-044-0. ^ a b Lindsay Jones, ed. (2005). Gale Encyclopedia of Religion. 11. Thompson Gale. pp. 7493–7495. ISBN 978-0-02-865980-0. ^ Marina Prusac; Kristine Kolrud (2014). Iconoclasm from Antiquity to Modernity. Ashgate. pp. 1–3. ISBN 978-1-4094-7033-5. ^ Willem J. van Asselt; Paul Van Geest; Daniela Muller (2007). Iconoclasm and Iconoclash: Struggle for Religious Identity. BRILL Academic. pp. 8–9, 52–60. ISBN 978-90-04-16195-5. ^ André Wink (1997). Al-Hind the Making of the Indo-Islamic World. BRILL Academic. pp. 317–324. ISBN 978-90-04-10236-1. ^ Barbara Roggema (2009). The Legend of Sergius Bahira: Eastern Christian Apologetics and Apocalyptic in Response to Islam. BRILL Academic. pp. 204–205. ISBN 978-90-04-16730-8. ^ Erich Kolig (2012). Conservative Islam: A Cultural Anthropology. Rowman & Littlefield. pp. 71 with footnote 2. ISBN 978-0-7391-7424-1. ^ a b c d e f g h Janowitz, Naomi (2007). "Good Jews Don't: Historical and Philosophical Constructions of Idolatry". History of Religions. 47 (2/3): 239–252. doi:10.1086/524212. Retrieved 30 November 2016. ^ a b Moshe Halbertal; Donniel Hartman (2007). Monotheism and Violence. Judaism and the Challenges of Modern Life. Bloomsbury Academic. pp. 105–112. ISBN 978-0-8264-9668-3. ^ John Bowker (2005). "Idolatry". The Concise Oxford Dictionary of World Religions. Oxford University Press. doi:10.1093/acref/9780192800947.001.0001. ISBN 978-0-19-861053-3. ^ Noah Webster (1841). An American Dictionary of the English Language. BL Hamlen. p. 857. ^ Stern, Sacha (1994). Jewish Identity in Early Rabbinic Writings. p. 9 with footnotes 47–48. ISBN 978-9004100121. Retrieved 18 October 2013. Anthony Ephirim-Donkor (2012). African Religion Defined: A Systematic Study of Ancestor Worship among the Akan. University Press of America. p. 4. ISBN 978-0-7618-6058-7. Elmar Waibl (1997). Dictionary of philosophical terms. Walter de Gruyter. pp. 42 see Bilderverehrung. ISBN 978-3-11-097454-6. See John Calvin (1537) The Institutes of the Christian Religion, Quote: "The worship which they pay to their images they cloak with the name of εἰδωλοδυλεία (idolodulia), and deny to be εἰδωλολατϱεία (idolatria). So they speak, holding that the worship which they call dulia may, without insult to God, be paid to statues and pictures. (...) For the Greek word λατϱεύειν having no other meaning than to worship, what they say is just the same as if they were to confess that they worship their images without worshipping them. They cannot object that I am quibbling upon words. (...) But how eloquent soever they may be, they will never prove by their eloquence that one and the same thing makes two. Let them show how the things differ if they would be thought different from ancient idolaters." ^ "The Cave Art Debate". Smithsonian Magazine. March 2012. Retrieved 6 July 2017. ^ Richard G. Lesure (2011). Interpreting Ancient Figurines: Context, Comparison, and Prehistoric Art. Cambridge University Press. pp. 11–12. ISBN 978-1-139-49615-5. ^ a b Peter Roger Stuart Moorey (2003). Idols of the People: Miniature Images of Clay in the Ancient Near East. Oxford University Press. pp. 1–15. ISBN 978-0-19-726280-1. ^ Colin Beckley; Elspeth Waters (2008). Who Holds the Moral High Ground?. Societas Imprint Academic. pp. 10–11. ISBN 978-1-84540-103-0. ^ a b c Barbara Johnson (2010). Moses and Multiculturalism. University of California Press. pp. 50–52. ISBN 978-0-520-26254-6. ^ a b Douglas Q. Adams (1997). Encyclopedia of Indo-European Culture. Routledge. pp. 44, 125–133, 544–545. ISBN 978-1-884964-98-5. ^ Boria Sax (2001). The Mythical Zoo: An Encyclopedia of Animals in World Myth, Legend, and Literature. ABC-CLIO. pp. 48–49. ISBN 978-1-57607-612-5. ^ Douglas Q. Adams (1997). Encyclopedia of Indo-European Culture. Routledge. pp. 124, 129–130, 134, 137–138. ISBN 978-1-884964-98-5. ^ James Bonwick (1894). Irish Druids and Old Irish Religions. Griffith, Farran. pp. 230–231. ^ Barbara Johnson (2010). Moses and Multiculturalism. University of California Press. pp. 21–22, 50–51. ISBN 978-0-520-26254-6. ^ Sylvia Estienne (2015). Rubina Raja and Jörg Rüpke (ed.). A Companion to the Archaeology of Religion in the Ancient World. John Wiley & Sons. pp. 379–384. ISBN 978-1-4443-5000-5. ^ Arthur P. Urbano (2013). The Philosophical Life. Catholic University of America Press. pp. 212–213 with footnotes 25–26. ISBN 978-0-8132-2162-5. ^ a b Paul Kugler (2008). Polly Young-Eisendrath and Terence Dawson (ed.). The Cambridge Companion to Jung. Cambridge University Press. pp. 78–79. ISBN 978-1-139-82798-0. ^ Christopher Norris (1997). New Idols of the Cave: On the Limits of Anti-realism. Manchester University Press. pp. 106–110. ISBN 978-0-7190-5093-0. ^ David Sansone (2016). Ancient Greek Civilization. Wiley. pp. 275–276. ISBN 978-1-119-09814-0. ^ Sidney H. Griffith (2012). The Church in the Shadow of the Mosque: Christians and Muslims in the World of Islam. Princeton University Press. pp. 143–145. ISBN 978-1-4008-3402-0. ^ King, G. R. D. (1985). "Islam, iconoclasm, and the declaration of doctrine". Bulletin of the School of Oriental and African Studies. 48 (2): 267. doi:10.1017/s0041977x00033346. ^ a b T. J. Wray (2011). What the Bible Really Tells Us: The Essential Guide to Biblical Literacy. Rowman & Littlefield Publishers. pp. 164–165. ISBN 978-1-4422-1293-0. ^ Terrance Shaw (2010). The Shaw's Revised King James Holy Bible. Trafford Publishing. p. 74. ISBN 978-1-4251-1667-5. ^ Frank K. Flinn (2007). Encyclopedia of Catholicism. Infobase. pp. 358–359. ISBN 978-0-8160-7565-2. ^ a b Leora Batnitzky (2009). Idolatry and Representation: The Philosophy of Franz Rosenzweig Reconsidered. Princeton University Press. pp. 147–156. ISBN 978-1-4008-2358-1. ^ a b Ryan K. Smith (2011). Gothic Arches, Latin Crosses: Anti-Catholicism and American Church Designs in the Nineteenth Century. University of North Carolina Press. pp. 79–81. ISBN 978-0-8078-7728-9. ^ a b Moshe Halbertal; Avishai Margalit; Naomi Goldblum (1992). Idolatry. Harvard University Press. pp. 39–40, 102–103, 116–119. ISBN 978-0-674-44313-6. ^ L. A. Craighen (1914). The Practice of Idolatry. Taylor & Taylor. pp. 21–26, 30–31. ^ William L. Vance (1989). America's Rome: Catholic and contemporary Rome. Yale University Press. pp. 5–8, 12, 17–18. ISBN 978-0-300-04453-9. ^ Stephen Gero (1973). Byzantine Iconoclasm During the Reign of Leo III: With Particular Attention to the Oriental Sources. Corpus scriptorum Christianorum Orientalium: Subsidia. pp. 1–7, 44–45. ^ Saint John (of Damascus) (1898). St. John Damascene On Holy Images: (pros Tous Diaballontas Tas Agias Eikonas). T. Baker. pp. 5–6, 12–17. ^ Hans J. Hillerbrand (2012). A New History of Christianity. Abingdon. pp. 131–133, 367. ISBN 978-1-4267-1914-1. ^ Benedict Groschel (2010). I Am with You Always: A Study of the History and Meaning of Personal Devotion to Jesus Christ for Catholic, Orthodox, and Protestant Christians. Ignatius. pp. 58–60. ISBN 978-1-58617-257-2. ^ Jeffrey F. Hamburger (2002). St. John the Divine: The Deified Evangelist in Medieval Art and Theology. University of California Press. pp. 3, 18–24, 30–31. ISBN 978-0-520-22877-1. ^ Ronald P. Byars (2002). The Future of Protestant Worship: Beyond the Worship Wars. Westminster John Knox Press. pp. 43–44. ISBN 978-0-664-22572-8. ^ Kenelm Henry Digby (1841). Mores Catholici : Or Ages of Faith. Catholic Society. pp. 408–410. ^ a b Natasha T. Seaman; Hendrik Terbrugghen (2012). The Religious Paintings of Hendrick Ter Brugghen: Reinventing Christian Painting After the Reformation in Utrecht. Ashgate. pp. 23–29. ISBN 978-1-4094-3495-5. ^ Horst Woldemar Janson; Anthony F. Janson (2003). History of Art: The Western Tradition. Prentice Hall. p. 386. ISBN 978-0-13-182895-7. ^ Henry Ede Eze (2011). Images in Catholicism ...idolatry? : Discourse on the First Commandment With Biblical Citations. St. Paul Press. pp. 11–14. ISBN 978-0-9827966-9-6. ^ Kathleen M. Ashley; Robert L. A. Clark (2001). Medieval Conduct. University of Minnesota Press. pp. 211–212. ISBN 978-0-8166-3576-4. ^ Bernard Lonergan (2016). The Incarnate Word: The Collected Works of Bernard Lonergan, Volume 8. University of Toronto Press. pp. 310–314. ISBN 978-1-4426-3111-3. ^ Rev. Robert William Dibdin (1851). England warned and counselled; 4 lectures on popery and tractarianism. James Nisbet. p. 20. ^ Gary Waller (2013). Walsingham and the English Imagination. Ashgate. p. 153. ISBN 978-1-4094-7860-7. ^ Sebastian Dabovich (1898). The Holy Orthodox Church: Or, The Ritual, Services and Sacraments of the Eastern Apostolic (Greek-Russian) Church. American Review of Eastern Orthodoxy. pp. 21–22. ^ Ulrich Broich; Theo Stemmler; Gerd Stratmann (1984). Functions of Literature. Niemeyer. pp. 120–121. ISBN 978-3-484-40106-8. ^ a b Ambrosios Giakalis (2005). Images of the Divine: The Theology of Icons at the Seventh Ecumenical Council. Brill Academic. pp. viii–ix, 1–3. ISBN 978-90-04-14328-9. ^ Gabriel Balima (2008). Satanic Christianity and the Creation of the Seventh Day. Dorrance. pp. 72–73. ISBN 978-1-4349-9280-2. ^ James Leslie Houlden (2003). Jesus in History, Thought, and Culture: An Encyclopedia. ABC-CLIO. pp. 369–370. ISBN 978-1-57607-856-3. ^ Thomas W. L. Jones (1898). The Queen of Heaven: Màmma Schiavona (the Black Mother), the Madonna of the Pignasecea: a Delineation of the Great Idolatry. pp. 1–2. ^ a b c Anthony Milton (2002). Catholic and Reformed: The Roman and Protestant Churches in English Protestant Thought. Cambridge University Press. pp. 186–195. ISBN 978-0-521-89329-9. ^ James Noyes (2013). The Politics of Iconoclasm: Religion, Violence and the Culture of Image-Breaking in Christianity and Islam. Tauris. pp. 31–37. ISBN 978-0-85772-288-1. ^ a b c Carlos M. N. Eire (1989). War Against the Idols: The Reformation of Worship from Erasmus to Calvin. Cambridge University Press. pp. 5–7. ISBN 978-0-521-37984-7. ^ Richardson, R. C. (1972). Puritanism in north-west England: a regional study of the diocese of Chester to 1642. Manchester, England: Manchester University Press. p. 26. ISBN 978-0-7190-0477-3. ^ Leora Faye Batnitzky (2000). Idolatry and Representation: The Philosophy of Franz Rosenzweig Reconsidered. Princeton University Press. p. 145. ISBN 978-0-691-04850-5. ^ Steinsaltz, Rabbi Adin. "Introduction - Masechet Avodah Zarah". The Coming Week's Daf Yomi. Retrieved 31 May 2013. , Quote: "Over time, however, new religions developed whose basis is in Jewish belief – such as Christianity and Islam – which are based on belief in the Creator and whose adherents follow commandments that are similar to some Torah laws (see the uncensored Rambam in his Mishneh Torah, Hilkhot Melakhim 11:4). All of the rishonim agree that adherents of these religions are not idol worshippers and should not be treated as the pagans described in the Torah." ^ a b c Shirk, Encyclopædia Britannica, Quote: "Shirk, (Arabic: "making a partner [of someone]"), in Islam, idolatry, polytheism, and the association of God with other deities. The definition of Shirk differs in Islamic Schools, from Shiism and some classical Sunni Sufism accepting, sometimes, images, pilgrimage to shrines and veneration of relics and saints, to the more puritan Salafi-Wahhabi current, that condemns all the previous mentioned practices. The Quran stresses in many verses that God does not share his powers with any partner (sharik). It warns those who believe their idols will intercede for them that they, together with the idols, will become fuel for hellfire on the Day of Judgment (21:98)." ^ a b Waldman, Marilyn Robinson (1968). "The Development of the Concept of Kufr in the Qur'ān". Journal of the American Oriental Society. 88 (3): 442–455. doi:10.2307/596869. JSTOR 596869. ^ Juan Eduardo Campo (2009). Encyclopedia of Islam. Infobase. pp. 420–421. ISBN 978-1-4381-2696-8. , Quote: "[Kafir] They included those who practiced idolatry, did not accept the absolute oneness of God, denied that Muhammad was a prophet, ignored God's commandments and signs (singular aya) and rejected belief in a resurrection and final judgment." ^ a b G. R. Hawting (1999). The Idea of Idolatry and the Emergence of Islam: From Polemic to History. Cambridge University Press. pp. 47–51, 67–70. ISBN 978-1-139-42635-0. ^ Reuven Firestone (1999). Jihad: The Origin of Holy War in Islam. Oxford University Press. pp. 88–89. ISBN 978-0-19-535219-1. ^ Hugh Goddard (2000). A History of Christian-Muslim Relations. Rowman & Littlefield. p. 28. ISBN 978-1-56663-340-6. , Quote: "in some verses it does appear to be suggested that Christians are guilty of both kufr and shirk. This is particularly the case in 5:72 ... In addition to 9:29, therefore, which has been discussed above and which refers to both Jews and Christians, other verses are extremely hostile to both Jews and Christians, other verses are extremely hostile to Christians in particular, suggesting that they both disbelieve (kafara) and are guilty of shirk." ^ Oliver Leaman (2006). The Qur'an: An Encyclopedia. Routledge. pp. 144–146. ISBN 978-0-415-32639-1. ^ Simon Ross Valentine (2014). Force and Fanaticism: Wahhabism in Saudi Arabia and Beyond. Oxford University Press. pp. 47–48. ISBN 978-1-84904-464-6. , Quote: "In reference to Wahhabi strictness in applying their moral code, Corancez writes that the distinguishing feature of the Wahhabis was their intolerance, which they pursued to hitherto unknown extremes, holding idolatry as a crime punishable by death". ^ G. R. Hawting (1999). The Idea of Idolatry and the Emergence of Islam: From Polemic to History. Cambridge University Press. pp. 1–6, 80–86. ISBN 978-1-139-42635-0. ^ a b Karen Armstrong (2002). Islam: A Short History. p. 11. ISBN 978-0-8129-6618-3. ^ "Allah – Oxford Islamic Studies Online". www.oxfordislamicstudies.com. Retrieved 25 August 2018. Only god in Mecca not represented by idol. ^ Christian Julien Robin (2012). Arabia and Ethiopia. In The Oxford Handbook of Late Antiquity. OUP USA. pp. 304–305. ISBN 9780195336931. ^ a b Barry Kogan (1992). Proceedings of the Academy for Jewish Philosophy. University Press of America. pp. 169–170. ISBN 978-0-8191-7925-8. ^ a b c David Novak (1996). Leo Strauss and Judaism: Jerusalem and Athens Critically Revisited. Rowman & Littlefield. pp. 72–73. ISBN 978-0-8476-8147-1. ^ Hava Tirosh-Samuelson; Aaron W. Hughes (2015). Arthur Green: Hasidism for Tomorrow. BRILL Academic. p. 231. ISBN 978-90-04-30842-8. ^ Shalom Goldman (2012). Wiles of Women/The Wiles of Men, The: Joseph and Potiphar's Wife in Ancient Near Eastern, Jewish, and Islamic Folklore. State University of New York Press. pp. 64–68. ISBN 978-1-4384-0431-8. ^ Abraham Joshua Heschel (2005). Heavenly Torah: As Refracted Through the Generations. Bloomsbury Academic. pp. 73–75. ISBN 978-0-8264-0802-0. ^ Frank L. Kidner; Maria Bucur; Ralph Mathisen; et al. (2007). Making Europe: People, Politics, and Culture, Volume I: To 1790. Cengage. p. 40. ISBN 978-0-618-00480-5. ^ Timothy Insoll (2002). Archaeology and World Religion. Routledge. pp. 112–113. ISBN 978-1-134-59798-7. ^ Reuven Chaim Klein (2018). God versus Gods: Judaism in the Age of Idolatry. Mosaica Press. ISBN 978-1946351463. ^ Rachel Neis (29 August 2013). The Sense of Sight in Rabbinic Culture. Cambridge University Press. pp. 99–100 with footnotes. ISBN 978-1-107-03251-4. ^ Kalman Bland (2001). Lawrence Fine (ed.). Judaism in Practice: From the Middle Ages Through the Early Modern Period. Princeton University Press. pp. 290–291. ISBN 978-0-691-05787-3. ^ a b c Noel Salmond (2006). Hindu Iconoclasts: Rammohun Roy, Dayananda Sarasvati, and Nineteenth-Century Polemics against Idolatry. Wilfrid Laurier University Press. pp. 15–17. ISBN 978-1-55458-128-3. ^ Richard Payne (2015). Michael Witzel (ed.). Homa Variations: The Study of Ritual Change Across the Longue Durée. Oxford University Press. pp. 1–5, 143–148. ISBN 978-0-19-935158-9. ^ John Grimes (1994). Problems and Perspectives in Religious Discourse. State University of New York Press. pp. 60–61. ISBN 978-0-7914-1791-1. ^ a b c Eric Reinders (2005). Francesco Pellizzi (ed.). Anthropology and Aesthetics, Volume 48: Autumn 2005. Harvard University Press. pp. 61–63. ISBN 978-0-87365-766-2. ^ a b Peter Harvey (2013). An Introduction to Buddhism: Teachings, History and Practices. Cambridge University Press. pp. 194–195. ISBN 978-0-521-85942-4. ^ Richard Cohen (2006). Beyond Enlightenment: Buddhism, Religion, Modernity. Routledge. pp. 83–84. ISBN 978-1-134-19205-2. , Quote: Hans Bakker's political history of the Vakataka dynasty observed that Ajanta caves belong to the Buddhist, not the Hindu tradition. That this should be so is already remarkable in itself. By all we know of Harisena he was a Hindu; (...). ^ Spink, Walter M. (2006). Ajanta: History and Development Volume 5: Cave by Cave. Leiden: Brill Academic. pp. 179–180. ISBN 978-90-04-15644-9. ^ a b Geri Hockfield Malandra (1993). Unfolding A Mandala: The Buddhist Cave Temples at Ellora. State University of New York Press. pp. 1–4. ISBN 978-0-7914-1355-5. ^ Trudy Ring; Noelle Watson; Paul Schellinger (2012). Asia and Oceania: International Dictionary of Historic Places. Routledge. p. 256. ISBN 978-1-136-63979-1. , Quote: "Some had been desecrated by zealous Muslims during their occupation of Maharashtra in the fifteenth, sixteenth and seventeenth centuries." ^ a b c Fabio Rambelli; Eric Reinders (2012). Buddhism and Iconoclasm in East Asia: A History. Bloomsbury Academic. pp. 17–19, 23–24, 89–93. ISBN 978-1-4411-8168-8. ^ Brant Cortright (2010). Integral Psychology: Yoga, Growth, and Opening the Heart. State University of New York Press. pp. 106–107. ISBN 978-0-7914-8013-7. ^ "Bhagavad-Gita: Chapter 12, Verse 5". ^ a b Christopher John Fuller (2004). The Camphor Flame: Popular Hinduism and Society in India. Princeton University Press. pp. 58–61. ISBN 978-0-691-12048-5. ^ Naidoo, Thillayvel (1982). The Arya Samaj Movement in South Africa. Motilal Banarsidass. p. 158. ISBN 978-81-208-0769-3. ^ Lata, Prem (1990). Swami Dayānanda Sarasvatī. Sumit Publications. p. x. ISBN 978-81-7000-114-0. ^ a b John Cort (2010). Framing the Jina: Narratives of Icons and Idols in Jain History. Oxford University Press. pp. 3, 8–12, 45–46, 219–228, 234–236. ISBN 978-0-19-045257-5. ^ Paul Dundas (2002). The Jains, 2nd Edition. Routledge. pp. 39–40, 48–53. ISBN 978-0-415-26606-2. ^ Suresh K. Sharma; Usha Sharma (2004). Cultural and Religious Heritage of India: Jainism. Mittal. pp. 53–54. ISBN 978-81-7099-957-7. ^ W. Owen Cole; Piara Singh Sambhi (1993). Sikhism and Christianity: A Comparative Study (Themes in Comparative Religion). Wallingford, United Kingdom: Palgrave Macmillan. pp. 117–118. ISBN 978-0333541074. ^ Mark Juergensmeyer, Gurinder Singh Mann (2006). The Oxford Handbook of Global Religions. US: Oxford University Press. p. 41. ISBN 978-0-19-513798-9. ^ W.O. Cole; Piara Singh Sambhi (2016). Sikhism and Christianity: A Comparative Study. Springer. pp. 34–35. ISBN 978-1-349-23049-5. ^ W.O. Cole; Piara Singh Sambhi (2016). Sikhism and Christianity: A Comparative Study. Springer. pp. 36–37. ISBN 978-1-349-23049-5. ^ John F. Richards (1995). The Mughal Empire. Cambridge University Press. p. 178. ISBN 978-0-521-56603-2. ^ Courtney T. Goto (2016). The Grace of Playing: Pedagogies for Leaning into God's New Creation. Wipf and Stock. pp. 67–68. ISBN 978-1-4982-3300-2. ^ a b Régis Bertrand (2003). La Nativité et le temps de Noël: XVIIe-XXe siècle (in French). Publ. de l'Université de Provence. pp. 87–95. ISBN 978-2-85399-552-8. ^ Reinhardt, Steven G. (2008). "Review: La Nativité et le temps de Noël, XVIIe-XXe siècle". The Catholic Historical Review. 94 (1): 147–149. doi:10.1353/cat.2008.0002. ^ Gerald Parsons (1993). The Growth of Religious Diversity: Traditions. Routledge. p. 211. ISBN 978-0-415-08326-3. ^ Richard Gehman (2005). African Traditional Religion in Biblical Perspective. East African Publishers. pp. xi–xii. ISBN 978-9966-25-354-5. ^ Richard Gehman (2005). African Traditional Religion in Biblical Perspective. East African Publishers. pp. 189–190. ISBN 978-9966-25-354-5. ^ Sylvester A. Johnson (2015). African American Religions, 1500–2000: Colonialism, Democracy, and Freedom. Cambridge University Press. pp. 49–51. ISBN 978-1-316-36814-5. ^ Rubiés, Joan Pau (2006). "Theology, Ethnography, and the Historicization of Idolatry". Journal of the History of Ideas. 67 (4): 571–596. doi:10.1353/jhi.2006.0038. ^ Ranger, Terence O. (1986). "Religious Movements and Politics in Sub-Saharan Africa". African Studies Review. 29 (2): 1–70. doi:10.2307/523964. JSTOR 523964. ^ René A. Bravmann (1980). Islam and Tribal Art in West Africa. Cambridge University Press. pp. 15–21, 36–37. ISBN 978-0-521-29791-2. ^ Willis, John Ralph (1967). "Jihād fī Sabīl Allāh—its Doctrinal Basis in Islam and some Aspects of its Evolution in Nineteenth-Century West Africa". The Journal of African History. 8 (3): 395. doi:10.1017/s0021853700007933. ^ Reuven Firestone (1999). Jihad: The Origin of Holy War in Islam. Oxford University Press. pp. 20–21, 85–89. ISBN 978-0-19-535219-1. ^ Marc Gopin (2002). Holy War, Holy Peace. Oxford University Press. pp. 243 footnote 5. ISBN 978-0-19-803348-6. ^ Michael Wayne Cole; Rebecca Zorach (2009). The Idol in the Age of Art: Objects, Devotions and the Early Modern World. Ashgate. p. 17. ISBN 978-0-7546-5290-8. , Quote: "By negating African religious practices, the pejorative characterizations of these works as objects of idolatry served in vital ways to both demonize and dehumanize local populations, thereby providing a moral buttress for European religious and human trade practices on the continent". ^ Patrick Taylor; Frederick I. Case (2013). The Encyclopedia of Caribbean Religions. University of Illinois Press. pp. 1002–1003. ISBN 978-0-252-09433-0. ^ Janet Parker; Julie Stanton (2007). Mythology: Myths, Legends and Fantasies. Struik Publishers. p. 501. ISBN 978-1-77007-453-8. ^ a b B. Morrill; J. Ziegler; S. Rodgers (2006). Practicing Catholic: Ritual, Body, and Contestation in Catholic Faith. Springer. pp. 79–80. ISBN 978-1-4039-8296-4. ^ Rebecca M. Seaman (2013). Conflict in the Early Americas: An Encyclopedia of the Spanish Empire's Aztec, Incan, and Mayan Conquests. ABC-CLIO. pp. 140–141, 251. ISBN 978-1-59884-777-2. ^ a b Michael Wayne Cole; Rebecca Zorach (2009). The Idol in the Age of Art: Objects, Devotions and the Early Modern World. Ashgate. pp. 77–81. ISBN 978-0-7546-5290-8. ^ Alan L. Kolata (2013). Ancient Inca. Cambridge University Press. p. 164. ISBN 978-0-521-86900-3. ^ C Scott Littleton (2005). Gods, Goddesses, and Mythology. Marshall Cavendish. pp. 726–729. ISBN 978-0-7614-7565-1. ^ Greg Roza (2008). Incan Mythology and Other Myths of the Andes. The Rosen Publishing Group. pp. 27–30. ISBN 978-1-4042-0739-4. ^ Benjamin Keen (1990). The Aztec Image in Western Thought. Rutgers University Press. pp. 239–240. ISBN 978-0-8135-1572-4. ^ a b C Scott Littleton (2005). Gods, Goddesses, and Mythology. Marshall Cavendish. pp. 797–798. ISBN 978-0-7614-7565-1. ^ a b C Scott Littleton (2005). Gods, Goddesses, and Mythology. Marshall Cavendish. pp. 843–844. ISBN 978-0-7614-7565-1. ^ Patrick Taylor; Frederick I. Case (30 April 2013). The Encyclopedia of Caribbean Religions. University of Illinois Press. pp. 560–562. ISBN 978-0-252-09433-0. ^ Manuel Aguilar-Moreno (2007). Handbook to Life in the Aztec World. Oxford University Press. pp. 24, 203–204. ISBN 978-0-19-533083-0. ^ J. Gordon Melton; Martin Baumann (2010). Religions of the World. ABC-CLIO. pp. 2243–2244. ISBN 978-1-59884-204-3. ^ Klaus Koschorke; Frieder Ludwig; Mariano Delgado (2007). A History of Christianity in Asia, Africa, and Latin America, 1450-1990. Wm. B. Eerdmans Publishing. pp. 323–325. ISBN 978-0-8028-2889-7. ^ a b Lawrence A. Kuznar (2001). Ethnoarchaeology of Andean South America: Contributions to Archaeological Method and Theory. Indiana University Press. pp. 45–47. ISBN 978-1-879621-29-9. ^ Brian M. Fagan (1996). The Oxford Companion to Archaeology. Oxford University Press. p. 345. ISBN 978-0-19-507618-9. ^ Robert W. Williamson (2013). Religion and Social Organization in Central Polynesia. Cambridge University Press. pp. 5–6. ISBN 978-1-107-62569-3. ^ Robert W. Williamson (2013). Religion and Social Organization in Central Polynesia. Cambridge University Press. pp. 6–14, 37–38, 113, 323. ISBN 978-1-107-62569-3. ^ Steven Hooper (2006). Pacific Encounters: Art & Divinity in Polynesia, 1760–1860. University of Hawaii Press. pp. 27, 65–71. ISBN 978-0-8248-3084-7. ^ J Mezies (1841). Abolition of Idolatry in Polynesia. XXIV (The Journal of civilization ed.). Society for the Advancement of Civilization. pp. 370–373. ^ Regina Schwartz (2016). Loving Justice, Living Shakespeare. Oxford University Press. pp. 32–34. ISBN 978-0-19-251460-8. ^ Josh Ellenbogen; Aaron Tugendhaft (2011). Idol Anxiety. Stanford University Press. pp. 29–35, 60–74. ISBN 978-0-8047-8181-7. Reuven Chaim Klein (2018). God versus Gods: Judaism in the Age of Idolatry. Mosaica Press. ISBN 978-1946351463. Yechezkel Kaufmann (1960). The Religion of Israel: From its Beginnings to the Babylonin Exile. Univ. of Chicago Press. ISBN 978-0805203646. Wikimedia Commons has media related to Idolatry. Wikisource has the text of the 1913 Catholic Encyclopedia article Idolatry. Look up idolatry in Wiktionary, the free dictionary.